Disclosure: I received two toy samples and compensation for this review through a partnership with The Motherhood. All opinions are mine. I am currently holiday shopping for my third preschooler. We have a house full of books and toys, some educational, others silly, pure fun. But in our family, Christmas is special, and I want Alice to have some items to open on Christmas morning that excite and delight her little two-year-old heart. 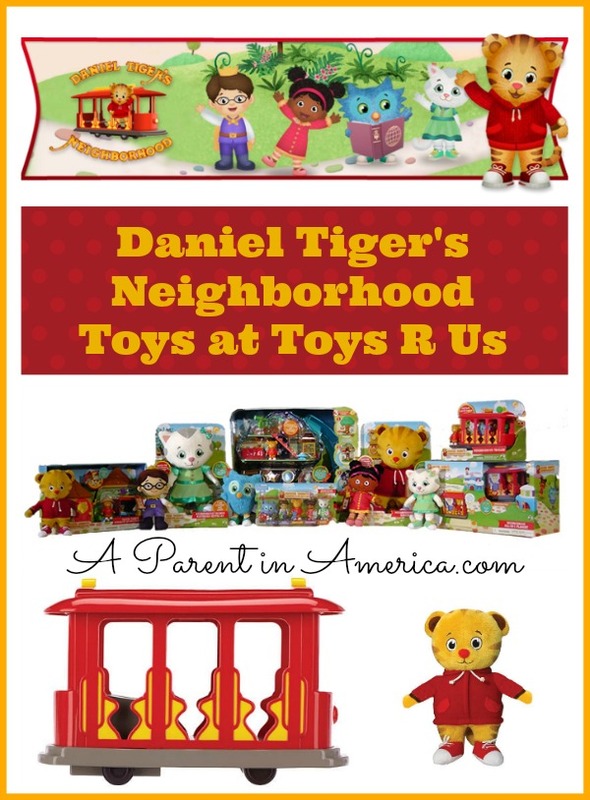 That’s why I was stoked to learn that the makers of her absolute favorite preschooler learning show, Daniel Tiger’s Neighborhood on PBS Kids, have launched a Daniel Tiger’s Neighborhood toy line at Toys R Us! This is gifting for a preschooler perfection. Just as the producers of Daniel Tiger’s Neighborhood tailor their creative episodes to preschool audiences of 2-4 year olds, each toy they have crafted is designed to inspire creativity and imagination in young children. The toys are geared towards pretend play, which is at its peak during preschool years. During a briefing call with the masterminds of the show, other bloggers and I learned that this pretending is one of the first steps our kids take towards symbolic thinking, which is critical to reading and writing skills. Of course, Alice won’t get that…she’ll be too busy putting Daniel Tiger, O the Owl, Prince Wednesday and all of the second generation of Mr. Roger’s Land of Make Believe crew to work riding that trolley! If you have a preschooler on your holiday gift list this year, the Daniel Tiger’s Neighborhood toys, sold only at Toys R Us, are a great call. They are priced at $5.99 – $39.99 and are simply adorable.